The more we study, evaluate, and implement changes to the U.S. education system, the more we learn about what works and what doesn’t work. But there is one constant: We know that teachers have a direct effect on student achievement. For more than 70 years, researchers at Gallup have studied what makes great teachers great. One strong conclusion is that high-performing teachers use their natural talents in their work with students. Gallup research demonstrates that people who use their strengths every day are six times more likely to be engaged on the job. Yet only 30 percent of U.S. teachers are engaged in their work. To increase teacher engagement, and by extension, student engagement and achievement, schools should focus on teachers’ strengths. When teachers and staff use their own strengths and cultivate their students’ natural talents, students are more likely to engage in school, resulting in higher performance and graduation rates. A one percentage point increase in student engagement is correlated with a six percentage point increase in reading achievement and an eight-point increase in math achievement. Gallup’s research and Hobsons’ experience serving more than 12 million students at schools, colleges, and universities around the world have convinced us to embrace the strengths-based philosophy in our work and in our products. 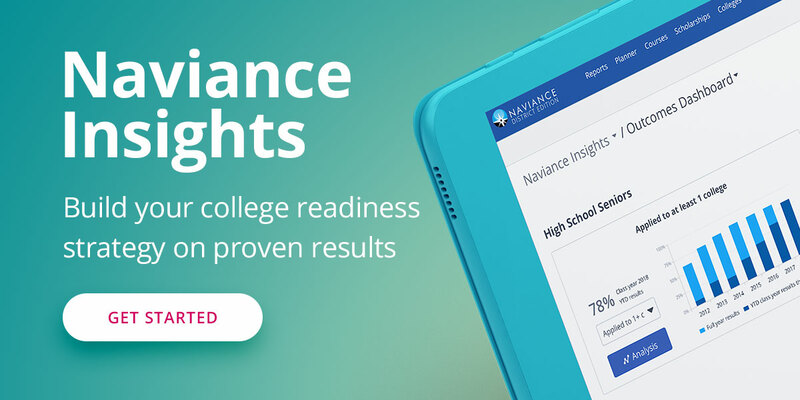 In 2013, Hobsons incorporated Gallup StrengthsExplorer®, a strengths assessment for students in grades 6-10, into our college and career planning platform, Naviance. Now, to help K-12 institutions improve teacher and student engagement, we are pleased to join Gallup Education in offering on-site and online professional development tools for teachers, school counselors, and other school staff. The Unlocking Educator Strengths professional development package includes an online course developed by Gallup consultants, Gallup’s adult StrengthsFinder® assessment and report, the book Teach with Your Strengths by Rosanne Liesveld and Jo Ann Miller with Jennifer Robison, as well as Action Planning Guides. For in-depth on-site training, educators can work with a Gallup consultant through the professional development package, Getting Started: Leading the Way to Strengths-based Schools. This course will help staff understand their own talents, model using strengths for students, and provide consultation on applying strengths towards reaching school and district goals. Once educators identify their own strengths and begin incorporating them into the classroom, they can model using their strengths for students who are using StrengthsExplorer in Naviance. For example, one school in Howard County, Maryland, paired every adult in the school, including the principal, teachers, and maintenance and clerical staff, with students who had the same strengths. This exercise sparked conversations about how staff use their strengths, and students enjoyed engaging with an adult friend in the building with the same strengths. We believe that students discovering what they are good at and what they are interested in is the first step in helping them to succeed in school and in life. I invite you to consider how using your own strengths every day can awaken your students to their unique talents and potential. Interested in how these professional development tools can engage your teachers and improve student achievement? Contact us today.